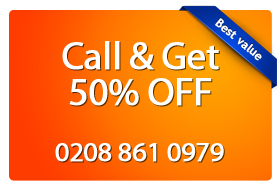 Still looking for expert carpet cleaning services in the City of Westminster? (SW1)? Our carpet cleaners are certified and have years of experience in the trade. You’ve come to the perfect place: Call 0208 861 0979 now for free carpet cleaning advice, free no obligation quote and to book one of our City of Westminster, North London (SW1) carpet cleaning service! Our carpet cleaning teams cover all the areas in the City of Westminster, at any address whose post code starts with NW, SW, WC and W, as well as surrounding areas. Even on short notice, you can count on our Westminster carpet cleaners to get the job properly done, on time. There are a number of City of Westminster carpet cleaning services that have proven to be most popular in the NW, SW, WC and W areas throughout our seven years long experience span. The City of Westminster is a popular destination for our carpet cleaners teams who serve clients in the area on a regular basis. Both residents and business in Westminster rely on our carpet cleaning technicians to use their skills, training and experience and to get the job done properly, on time, every time. We provide Westminster customers with fully trained to our industry’s standards, fully insured and fully qualified carpet cleaners with well over seven years of experience in the field. Also, our dry carpet cleaning and the steam cleaning techniques are the best professional approaches in the carpet cleaning business today, so you’re guaranteed to be satisfied with our results. To all our customers in the City of Westminster, we provide a satisfaction guaranteed or we re-clean for free offer meaning that in the unlikely event of you being unhappy with the results, we’ll send our carpet cleaners back to your property to re-clean in free of charge. Another popular service in the City of Westminster, the upholstery cleaning packages are the perfect solution to having your upholstery items cleaned and refreshed. Our cleaners in Westminster serve both commercial and residential properties and are always available for work, even on a short notice. They also carry around 15 different types of upholstery cleaning chemicals — apart from our own industrial strength dry carpet cleaning and steam carpet cleaning equipment — just to ensure that the job is done properly and that your upholstery items are fresh and clean. Stains removal services is another popular cleaning service in the City of Westminster areas. We’ve been providing this service to Westminster businesses and residents for the past seven years and we’re coming up with exceptional results every time we deliver it. Our stains removal technicians carry around 15 different types of chemicals just to make sure that stains — regardless of their age and the fabric they’re on — get professionally removed. Due to the nature of the stain and to its age, please note that not all stains can be completely removed. In 90% of the cases, we can remove the stains; however, some stains such as those made by pets might leave an odour, for example, even after the stain has been treated. For more details, please call us and our Westminster stains removal technicians will be able to assess and advise you directly. as well as all the other areas in the City of Westminster, whose post code start with NW, SW, WC or W.
So call us now on 0208 861 0979 for free carpet cleaning advice, a no obligation free quote or to order one of our City of Westminster service in NW, SW, WC and W or in any other surrounding area.